Wind’s contribution to energy production in the United States continues to grow. In 2011, it represented a third of all new electric generating capacity. Individual wind turbines are getting larger in power-generating capacity, hub height, and rotor diameter—largely in order to make wind turbines viable in areas with lower wind speeds. 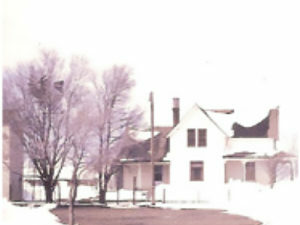 This growth is expected to continue. 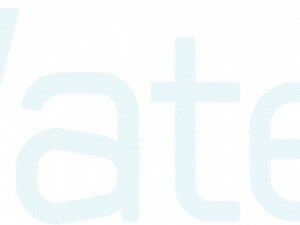 https://mediaspectrum.net/healthcare/ viagra without prescription Decisions about where to site commercial-scale wind turbines—typically costing $3-4 million each installed (though their cost drops significantly with economies of scale for large wind farms)—require detailed, reliable, and long-term data about wind speed and direction. 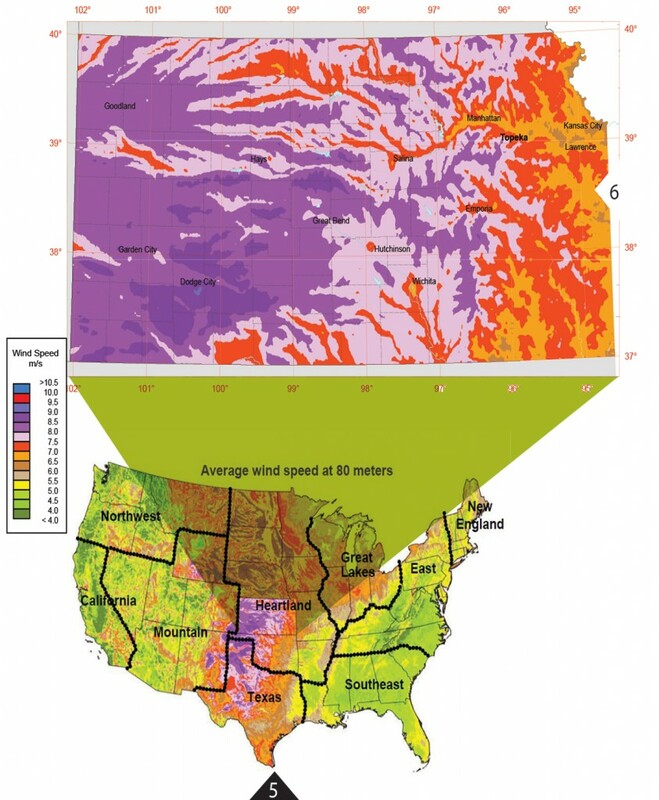 Wind speed maps and tables published by the National Renewable Energy Laboratory (NREL), the U.S. Department of Energy’s primary laboratory for renewable energy and energy efficiency research and development, are a good starting point. click here However, resource assessment (to identify locations with sufficient wind speeds for turbines to work efficiently) and forecasting (to know whether the long- term average wind speeds make investments in wind energy cost-effective) require much more detailed knowledge of local wind conditions. 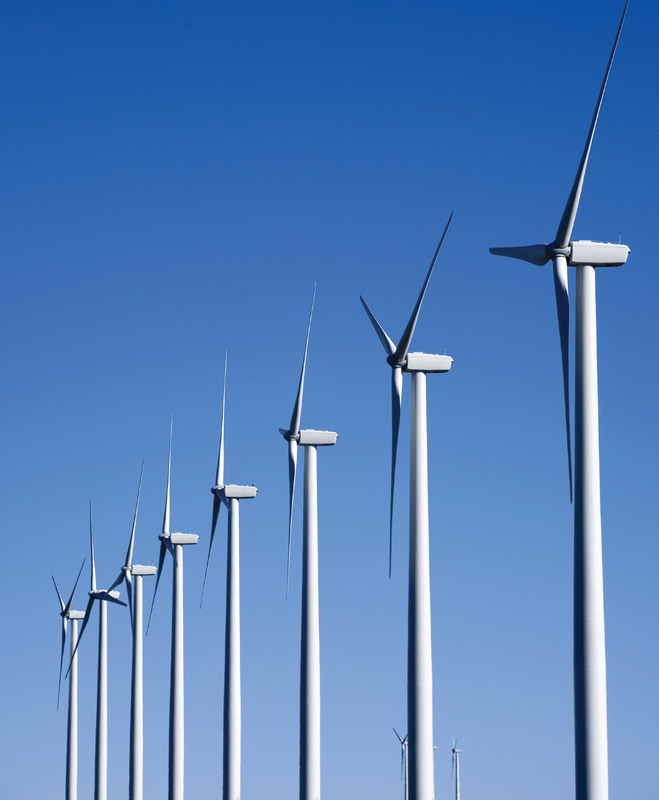 Additionally, real-time measurements of the speed of approaching wind gusts, fed into the turbines’ control systems, can enable them to instantly adjust the gears so as to maximize energy production while minimizing the chance of mechanical failure. Currently, the two preferred technologies for collecting wind data are ground-based SoDAR and LiDAR. order now Next, on-site measurements of wind speeds are necessary in order to estimate how they will vary over the project’s lifetime. “That tells you essentially how much money your project is going to make based on the type of turbine that you are going to put out there,” says Freedman. This requires at least a year’s worth of continuous measurement from towers. However, because most towers are lower than the turbines’ rotor planes, SoDAR or LiDAR sensors are used to study local wind shear (the change of wind speed and direction with height). Additionally, says Ngoroi, “it would be nice to have things like transportation and transmission line data that allow me to build buffers around those transportation corridors and transmission line corridors, because wind turbines need to be located within certain distances of transmission lines, in order to be able to get the energy to wherever it needs to go. So, if you take all those pieces of data together, then you can produce maps that show suitability zones: here is the area that has this amount of wind speed, usually a sustained wind speed of 10 miles per hour and above, and then it intersects this land use category and it is close to this transmission line corridor and to this transportation corridor.” See Figures 1-2. Big Horn Wind Farm. 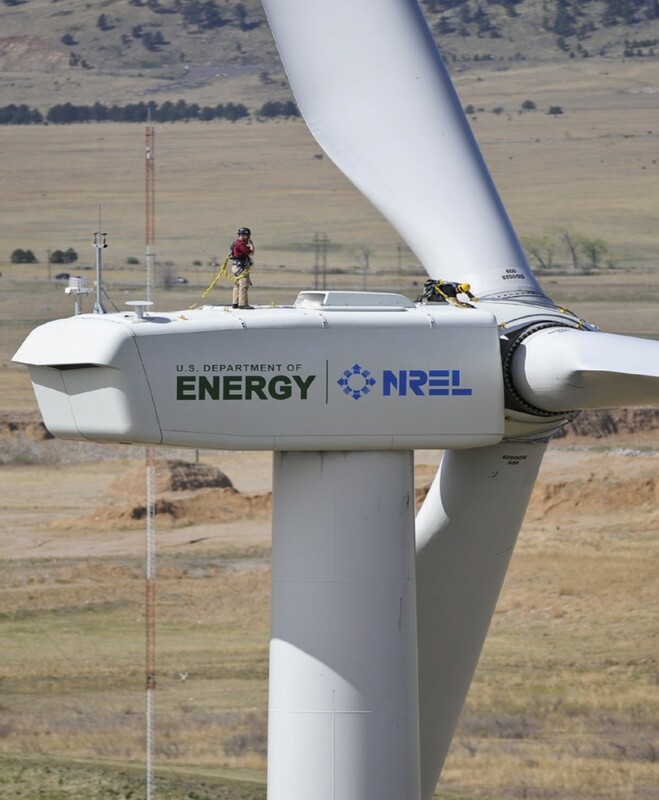 Photograph by Iberdrola Renewables, Inc. Courtesy of NREL. 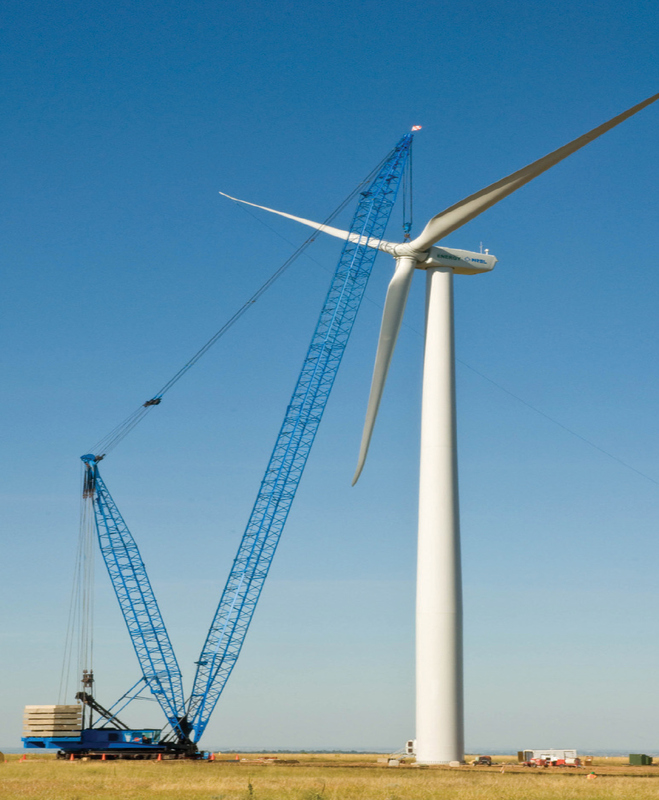 Blue skies and calm conditions contributed to a smooth installation of a General Electric 1.5 MW wind turbine at the National Wind Technology Center. Photograph by Pat Corkery. Courtesy of NREL. Airborne and ground-based LiDAR sensors are usually used for measuring and imaging hard surfaces, such as terrains or buildings. For the purpose of measuring wind speed, however, they are pointed upward from the ground and the backscatter energy reflects off of aerosol particles in the air that are moving due to wind turbulence. Wind speed and direction is then derived by measuring the Doppler shift and mapping it into a model. “Even though the air might seem clean, there are plenty of dust and dirt particles floating out there at the sizes that you need and given the wave- 2 lengths at which you are transmitting,” explains Freedman. “They are in sufficient concentration to generate a decent amount of statistics to give you the average wind speed and direction over periods of a few minutes. Typically, LiDAR will give you decent measurements, depending upon their transmission power, in the thousands of meters vertically or horizontally.” See Figure 3. 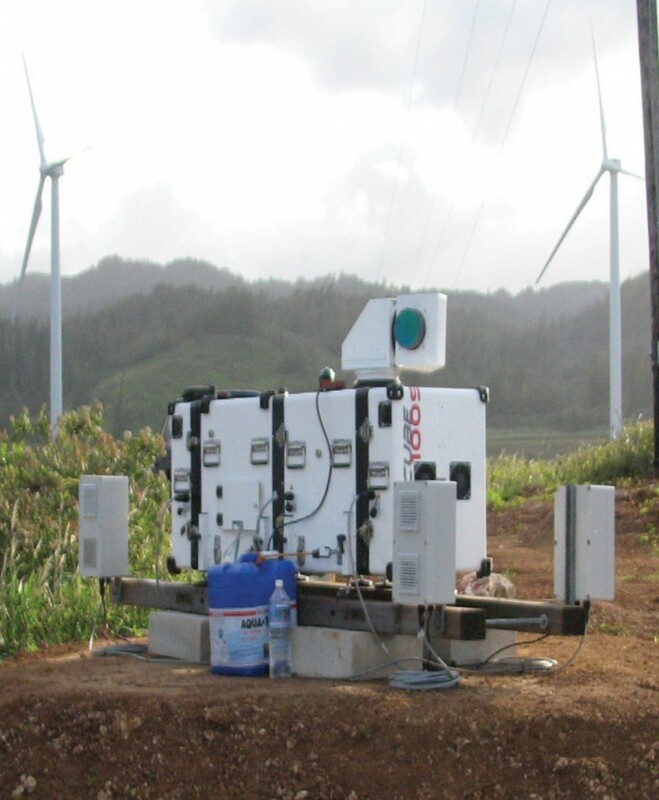 Leosphere scanning LiDAR owned and operated by the Hawaiian Electric Company (HECO) at the Kahuku Wind Farm. Photo by Matthew Filippelli. Courtesy of AWS Truepower. In most cases, assuming that there is no acoustical interference, SoDAR will be a very good data source in terms of describing the vertical profile of the wind direction, says Freedman. 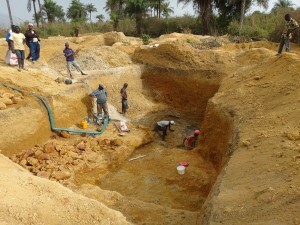 Even though SoDAR sensors cost between $50,000-100,000, they are cheaper in the long run than building towers. See Figure 4. 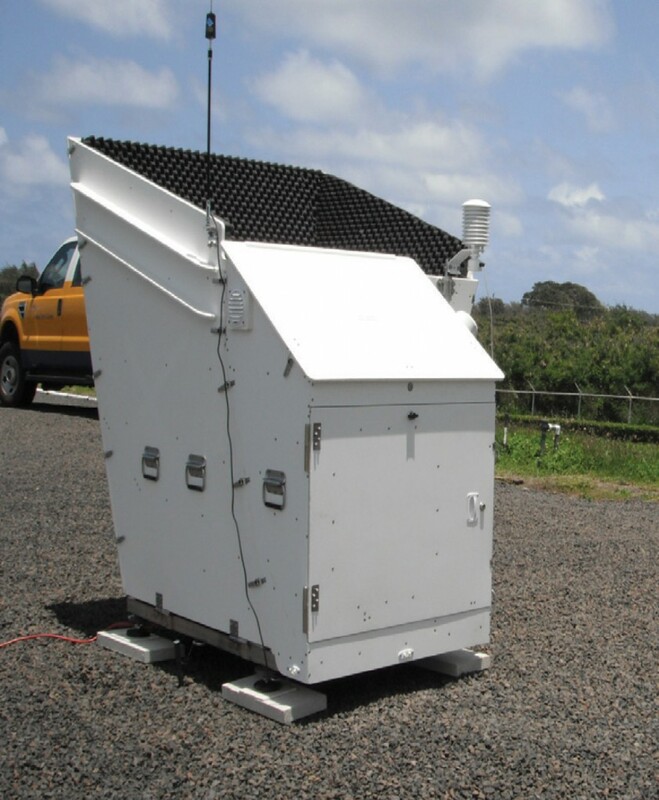 Atmospheric Research and Technology SoDAR owned and operated by the Hawaiian Electric Company. Photo by Amra Brightbill. Courtesy of AWS Truepower. To determine the suitability of an area for wind turbines, “you have to start with something,” says Ngoroi. “Usually, the place to start would be the published wind speed maps. However, they cover such wide areas, that you want to narrow that down to something that covers the average area of a wind farm.” See Figures 5-6. Average wind speeds in the United States and Kansas at a height of 80 meters. Courtesy of AWS Truepower and NREL. Traditionally, for resource assessment, the industry has used towers 40-80 meters high with instruments mounted on them that provide point measurements at various levels, says Freedman. “The problem is that these point measurements are not representative of where today’s larger wind turbines are operating, because the typical hub heights are now 80 meters, 100 meters, or even 120 meters. That means that their rotor plane can extend up to 150 meters in height. There are empirically based relationships that give you the change in wind speed with height (that is, the wind shear). The problem is that we don’t know for certain how representative that estimate is.” Additionally, the number of existing towers is tiny compared to the number of potential locations for wind turbines and it is very expensive to build new ones. In Hawaii, where there is a strong push to deploy and use renewable energy because energy costs there are very high, there are many wind farms, large solar power installations, and rooftop PV panels. AWS Truepower has developed a sytem for Hawaiian electric utilities that helps their operators predict changes in power production in the near future (minutes to hours) from wind to solar. “If you don’t see that coming, it can lead to some critical issues when you are trying to balance those loads and maintain system integrity,” says Freedman. Called the Solar-Wind Integration Forecasting Tool, or SWIFT, the system makes use of a network of remote sensing and point measurements that are being deployed by the Hawaiian Electric Company (HECO). It is a combination of SoDARs, a horizontal scanning LiDAR, and a radiometer. “The radiometer gives you profiles of the temperature and moisture, which is helpful to have when you are trying to make a forecast, especially if you are doing it in Hawaii, where there’s a scarcity of observational data.” To estimate the speed and direction of winds that might be coming in over, say, the next 10-30 minutes, engineers combine data from horizontal scans at distances of 10 miles or more with weather forecasting models. Forward-looking LiDAR sensors mounted on top of wind turbines and pointed upwind can measure the speed of the wind that will reach them in the next 2-10 seconds, says Clifton. Unlike data collected for later analysis, this application requires system engineers to couple the data stream in real time with the turbine’s control system. Wind farm at The Cerro Gordo Project west of Mason City, Iowa. Photograph by Todd Spink. Courtesy of NREL. Aerial view of a wind turbine at the National Wind Technology Center. Photograph by Dennis Schroeder. Courtesy of NREL. Wind speeds in the Great Plains are very high year- round, while Chicago, known as “the windy city,” is actually not significantly windier than any other U.S. city. Such general knowledge of wind conditions may be enough when choosing a location for a kite store, but the continued growth of wind energy will require increasingly detailed knowledge of local wind conditions in ever more areas of the United States, and around the world.